Hi loves, thank you for checking back on my blog <3. Recently, work has been stressful for me and I haven’t been able to keep up with my skin routine and drink as much water/juice/detox lime juice as much as I would like to. If you have been reading by blog long enough, you probably know by now that my skin has been through crazy stages and can get super sensitive, especially in this cold and dry weather. Sometimes, by trying to keep my skin “artificially hydrated” with moisturizer and serum, it can become too oily and, *wait for it*….tiny black heads coming up to say helloooo. Sad story of my life I know. If you have the same problem with me, I have a secret product that has really been helping. I love it so much to say the least and would like to share with you guys. Read away :)! Origin Clear Improvement Active Charcoal Mask: At $25 for 3.4 oz, this product has long been a stable for me since it’s relatively cheap and lasts a good amount of time. The active charcoal helps sucking out the jammed and clogged pores that you may not even notice with normal eyes. The trick is to make sure you would wash your face with warm water to get the pores open first, pat dry then apply the product on your skin evenly (or just problematic area). That way, the pores are ready to be deep cleansed. When it starts to dry, you will experience a super tightening feeling on the skin, try to avoid raising your eyebrows or laughing while having the mask on. Caudalie Grape Water: One of my beauty essentials that I always keep in my purse and close to my heart is a natural facial mist to keep my skin refreshed and hydrated. This one is my absolutely favorite, 100% plant based and the price is very reasonable ($18). It smells really nice without the strong artificial fragrant that other products have. 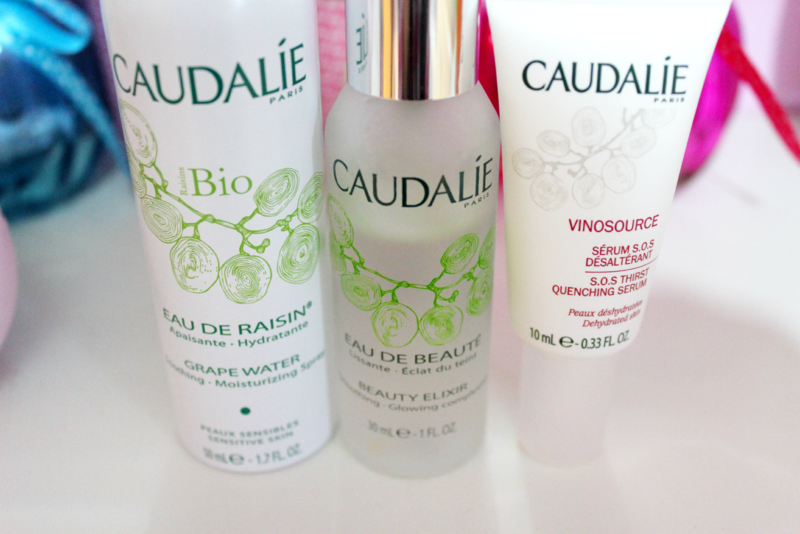 Also, Caudalie Grape Water is useful if you want a little spray that would help to set your make up and gives a dewy finish, which I’m a huge fan of :). Juice recipe of the month: I found this recipe on Pinterest,gave it a try and absolutely loved it. I substituted lemon for grapefruit (half a grapefruit) just because I like the flavor better. 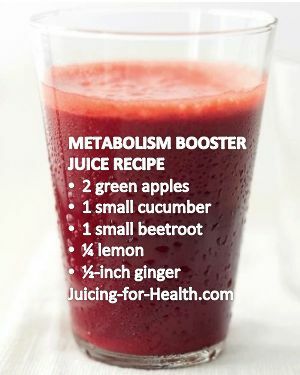 Via juicingforhealth.com. Please give it a try and let me know what you think! 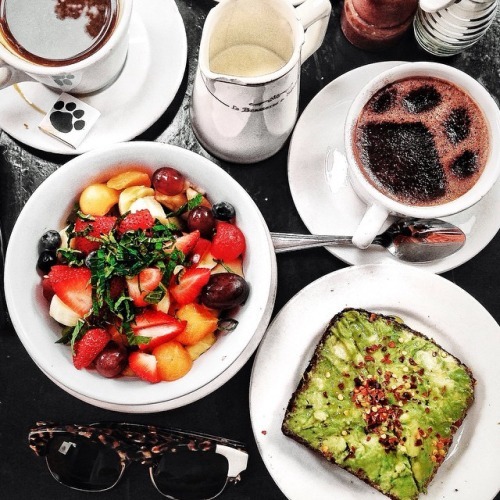 Last but not least, Foodspiration of the week, how good does this healthy brunch meal look! I have been needing one of these for a while now.